Every manufacturer needs to figure out what issues or “low hanging fruit” can be addressed to further streamline operations, increase throughput, minimize bottlenecks, and deliver exceptional customer service to maintain or expand their competitive advantage. Manufacturers are waking up to the important role technology and digital transformation can play in their growth strategies. Yet this transformation is different for every manufacturer. For some, it may encompass the adoption of the latest technologies—such as 3D printing, robots, sensor technology, and artificial intelligence—areas that some traditional manufacturers have previously been slow to embrace. For others, their digital transformation journey will see them embrace the world of Industry 4.0, where all equipment in their production lines is online, connected, and autonomous. But for other manufacturers that may be resistant to change, digital transformation will require a concerted effort to ensure they aren’t left behind. Mid-size manufacturers are sometimes caught in the chasm. Change isn’t easy. Many wonder, how and where to start transforming? Does it have to cost a lot? And/or what’s the problem with doing things the “old” way anyway? The continuing evolution of the Internet of Things (IoT) and Industry 4.0 promises to open new opportunities for manufacturers, but fears and misconceptions are holding many manufacturers back from moving forward with forging IoT strategies. This hesitation can potentially be opening the door for smaller, smarter and leaner companies to surge ahead in today’s ultra-competitive market. Manufacturers that can extract full value from data gathered via IoT can position themselves to take advantage of new market opportunities. The data collected by billions of things and devices can be used to deliver new services or drive innovation that can help organizations differentiate themselves from the competition. In addition, manufacturers can also connect their supply chain systems to smart devices so they can gain better visibility and control over their extended manufacturing operations. Many small and midmarket manufacturers have taken a “wait and see” approach because IoT initiatives can seem daunting. They don’t have to be. It’s important to get moving with understanding how and where the IoT can aid the business. But how do manufacturers determine the how and where? In every business, there are gaps and areas for improvement in processes that impact the customer experience and add extra time and cost into the transaction. These represent tremendous opportunities for IoT. Customer experience is something that most manufacturers struggle with, but smart manufacturers understand that intelligent devices can reveal vital information—often in real-time—enabling them to quickly and drastically improve customer service. Customers are increasingly seeking personalized experiences with manufacturers and suppliers. Modern manufacturing enterprise resource planning (ERP) systems, integrated with IoT, can provide insight to deliver that personalized experience. IoT offers manufacturers a huge opportunity to improve their customer service, understand customer behavior and lower the cost of production, driving higher margins. Next think about how improvements can be quickly and easily attained. It’s not necessary to bring in an expensive consultant—in many instances you can work with what you already have to digitally enable processes. Case in point: If your ERP system is mobile-first, you already have a solid framework for Industry 4.0. Imagine providing a mobile interface to a sales person who can provide a quote or critical status updates to a customer, while on the road; or a mobile IoT strategy to assist with delivery scenarios—where personnel armed with a tablet devices can eliminate paper bills of lading, support greater agility, and streamline invoicing. In 2015, PwC surveyed more than 2,000 companies from 26 countries in the industrial production sectors. In this global Industry 4.0 survey, one-third of respondents said their company had already achieved advanced levels of integration and digitization, and 72 percent expected to reach that point by 2020. About 55 percent of survey respondents expected to see their investment returned within two years. Revenue gains come largely from offering new digital features and products, or from introducing analytics and other new digital services to customers. In addition, the availability of real-time data enables manufacturers to offer more personalized products and customized solutions, which usually generate significantly higher margins than mass-manufactured offerings. In this era where the pace of technological change will continue to increase, it has become a business imperative to find practical ways to leverage technology where and (more importantly) when it makes sense. Every manufacturer needs to figure out what issues or “low hanging fruit” can be addressed to further streamline operations, increase throughput, minimize bottlenecks, and deliver exceptional customer service to maintain or expand their competitive advantage. By keeping digital initiatives focused and manageable, manufacturers can achieve small wins to fuel larger, longer-term strategies. 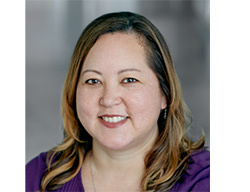 An accomplished marketing professional with broad experience in the manufacturing and supply chain sectors, Terri Hiskey is vice president of Product Marketing for Manufacturing at Epicor Software, a provider of ERP solutions for 20,000 customers worldwide.